My patterns will specify metric and American equivalents. However the vintage patterns will frequently use the UK system that was in use when the pattern was printed. 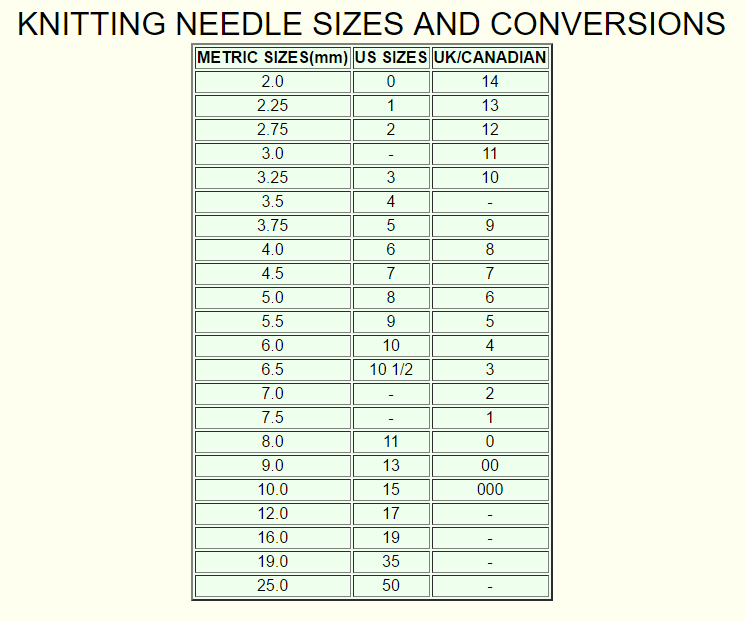 For assistance I’ve supplied a needle comparison chart so that you can make an appropriate selection. I’ve also included the chart in all the vintage pattern pdfs.